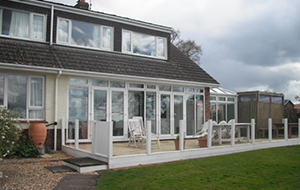 "Conservatories are an extension of your home, enjoy the valuable extra living space a select conservatory can you." Devon conservatory specialists, Select Windows have a stunning range of conservatories for supply and installation by our in-house builders, enabling us to ensure that you get the highest standard of finish. In the summer, a conservatory lets the garden become an extension of your home, so you can enjoy it either as a quiet sun trap or a shady & relaxed environment for reading or simply enjoying the view. In addition to being a great living space, conservatories can also make great dining rooms as they are light, provide great views and a wonderful ambience in the evening. You can get a amazing ambient light quality in a conservatory and the vast amount of glass allowing large amounts of natural sunlight can dramatically help to improve your mood. Of course you can reap the benefits in winter too - our top quality products are built to withstand the worst of the British climate, so that you can be warm and cosy on the bleakest of days. 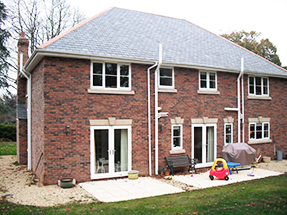 We use A-rated windows on all of our installations. 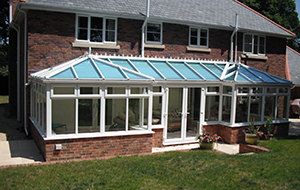 At Select Windows and Conservatories, Devon we have a wide range of conservatory designs available, offering the highest standards of service with our quality products. 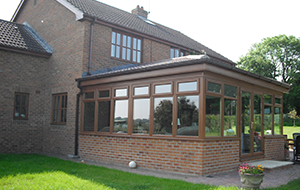 All conservatories are made-to-measure and designed to suit your home, any changes that you make to your home will reflect your taste & personality, so when you are making these important decisions you need to get the best advice available. 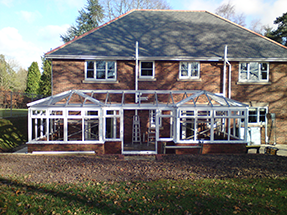 We can give you the conservatory that you really want. 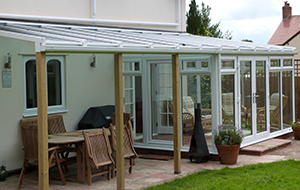 By discussing your requirements, ideas and details with our experts we can ensure that you get a conservatory that suits you. With all of our products, you should soon find that this increased insulation and draught proofing translates into lower fuel bills. Maintenance of a U.P.V.c conservatory is also very easy, no more repainting to do - just a simple wipe with a damp cloth will keep your conservatory looking as bright and clean as new. For more information contact us or simply visit our conservatory village or our display at Otter Nurseries, which is on full view 7 days a week. See our latest designs in sparkling white or luxurious woodgrain finishes. "Enhance your lifestyle with a room for all seasons."